Elderly (?) 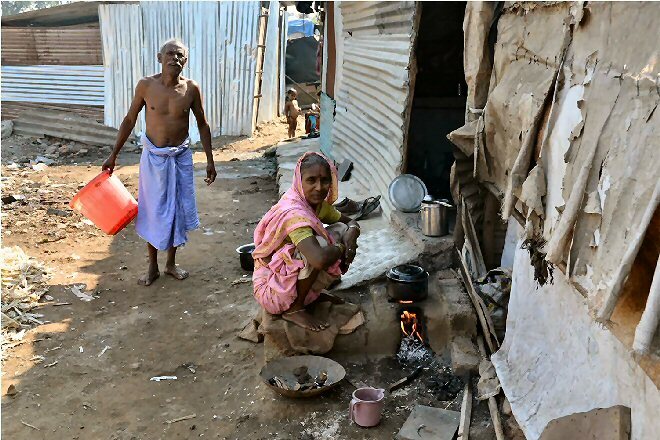 woman cooking rice in urban Mumbai slum. Note the simple mud "stove".